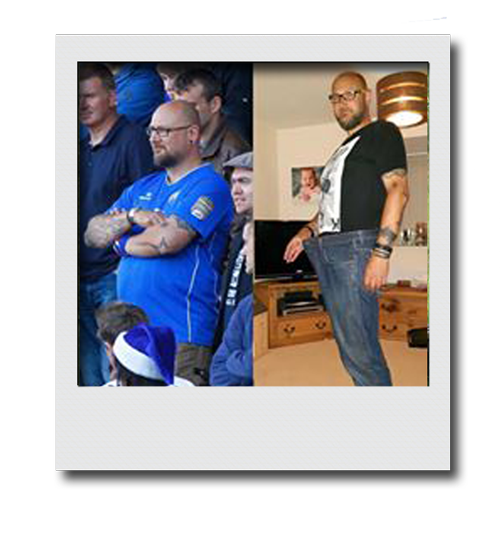 Bootcamp Plus Small Diet Changes Equals 3 Stone Lost! Kelvin contacted me in October 2015 after trying a bootcamp in Cornwall. He was looking for something similar closer to home and found Better You Bootcamp! Kelvin started coming with his friend Terry once a week. He chose bootcamp because it fitted in with his life, family commitments and commute from Manchester. "The sessions are always fun, different every time, usually involving lots of laughter and sweat. I can be very lazy, which is why I ended up weighing over 20 stone, so need a good push, and instruction to know what exercise to do and how to do it properly." Starting bootcamp has been the catalyst to improving my fitness and eating better. "The results have been amazing, starting bootcamp has been the catalyst to improving my fitness and eating better, I feel better, fitter, improved my stamina and I have lost about 3 stone and dropped 2 waist sizes in 12 months. "I also prefer the more intense sessions, I think I’m a sucker for the pain. "Nic is great, she is very knowledgeable, always has new ideas and exercises, motivates you to try hard, push yourself and generally makes the sessions fun. "I would like to say Thank you Nic for helping me to become better, leaner, faster, stronger!"